One of the most common questions that are often asked is: “Can I use a snoring mouthpiece as an alternative to my CPAP machine for sleep apnea?”. This is an excellent question that deserves a thorough answer. Sleep apnea and snoring often go hand in hand. In fact, snoring may indicate that there is an underlying issue such as sleep apnea which if left untreated could lead to health issues. Once diagnosed with sleep apnea, patients have often issued a continuous positive airway pressure machine, also known as a “CPAP”. Unfortunately, these machines are commonly abandoned by their owner because they are known to be uncomfortable to wear at night. These individuals either stop treatment altogether or seek an alternative treatment method. The mandibular advancement device (MAD) and tongue stabilizing devices (TSD) are a couple devices that are commonly brought up by doctors when asked about alternatives to the CPAP. The MAD fits between the teeth, sort of like an athletic mouth guard, and uses the leverage of the upper teeth to hold the lower jaw forward. Holding the lower jaw forward widens a restricted air passage and prevents airway collapse. Alternatively, the TSD attaches to the tip of the tongue and holds the tongue forward along with several other associated muscles. The “Good Morning Snore Solution” can be purchased online and is quite similar to the Aveotsd. The effects are similar to the TSD yet the device does not take up as much room in the mouth. MAD’s and TSD’s are typically prescribed by a doctor and usually cost a small fortune. In many cases, the device itself costs over $1,500 plus the additional cost of several doctors visits for checkups and adjustments. While it is becoming increasingly common for insurance to cover these expenses, there are still several insurance companies out there who will not pay for such treatments despite proven results. Once made aware of the high prices associated with this treatment option, individuals sometimes seek out less expensive alternatives. One such alternative that often surfaces is the snoring mouthpiece. What’s really the difference between the OTC type vs prescribed? 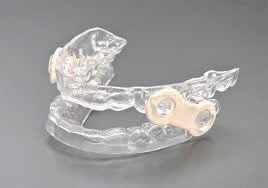 So what is the difference between a snoring mouthpiece and a sleep apnea mouthpiece? This article does a fairly good job at explaining the similarities and differences between the two. In a nutshell, professionally fitted devices are usually constructed of a durable material and are often adjustable by a doctor. Perhaps the greatest factor that sets a doctor prescribed device apart from an internet ordered device has to do with having a trained medical professional overseeing the treatment process. They are able to measure effectiveness, make adjustments, and check for issues such as teeth movement. 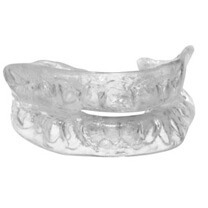 In contrast, the snoring mouthpiece often mimics the apnea mouthpiece in appearance and function. As for the OTC MAD, there are several devices that are available that can be custom fitted using a thermoplastic resin and can also be adjusted in small increments. The OTC TSD versions such as the GMSS are almost identical to the professional issued versions such as the AveoTSD. In either case, the biggest difference with the snoring mouthpiece is the intended use. Snoring mouthpieces are intended to be used to treat snoring exclusively, meaning benign or simple snoring where sleep apnea is not involved. These devices are available online and are self-fitted. Some manufacturers make you fill out a questionnaire before allowing you to make a purchase to ensure that your oral health is up to par. This questionnaire also covers them in the event that any legal issues arise from improper use of the device. Is it possible to treat OSA with a snoring mouthpiece? In the end, most people simply want to know if they can substitute an OTC snoring mouthpiece for a CPAP machine. After all, over-the-counter devices often sell for a fraction of the price and seem to be very similar in nature. The answer to this question really depends on your individual circumstances. There are individuals out there who have had success substituting one for the other. However, one should not make this decision alone. There are many factors that determine whether or not you may be a good candidate for a substitution. Teeth and gum health, severity and type of apnea, along with several other factors will help doctors to determine this. Some doctors are agreeable when it comes to using internet ordered devices to treat mild to moderate cases of OSA while others are completely against the idea (sometimes due to reasons of monetary loss). If you are interested in using a snoring mouthpiece to treat your sleep apnea, first ask your doctor if there is a particular device that he or she is familiar with and would recommend. If not, do some research and pick out a potential device that you are interested in. Gather information on the device and ask your doctor for their professional opinion before proceeding any further. This website offers a mouthpiece comparison chart which is loaded with lots of great information that will help to make this decision easier. If your doctor does, in fact, recommend or approve the use of a snoring mouthpiece to treat your apnea then it’s now up to you to decide. 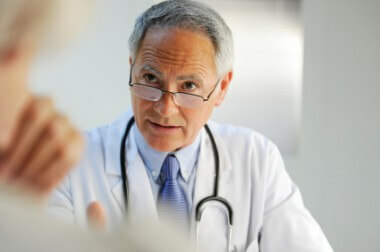 Be sure to follow up with your doctor with any questions or concerns that you may have. Also, you should be closely monitored by your doctor while using such a device. When it comes to using an internet ordered mouthpiece to treat OSA many people search high and low for a simple “yes” or “no” answer. As mentioned, the answer to this question should not and can not be simply answered by information found online. As already stressed, It’s very important to consult with a properly qualified medical professional to answer this question. They will be able to offer the best guidance to help you determine whether or not a particular device is a good fit for your particular situation. 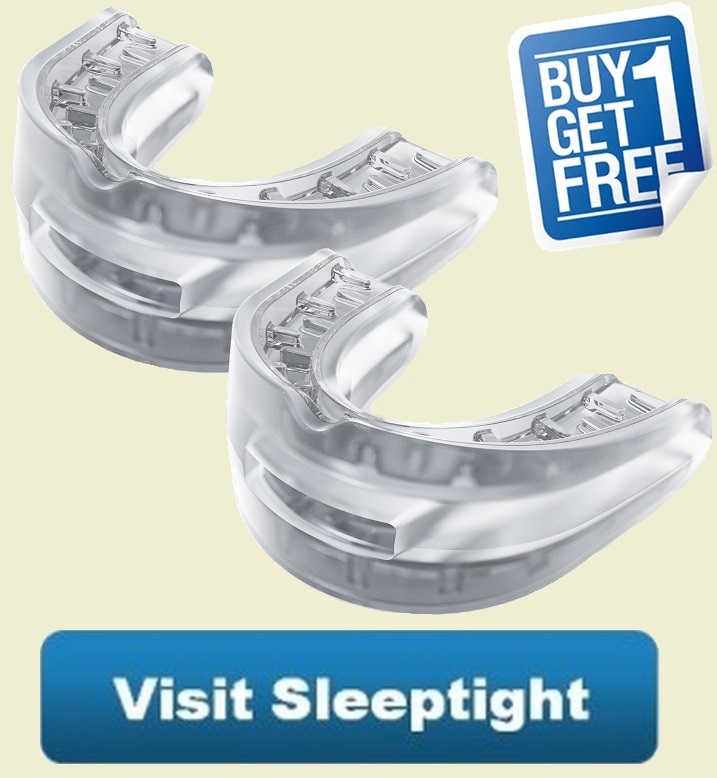 The anti-snoring mouthpiece is one of the most highly effective stop snoring solutions available. With over 100 different products to choose from, deciding which one to buy can be challenging. As a snorer and product reviewer, I have tried many of these devices and created a list of recommended devices that will help to make this decision much easier. 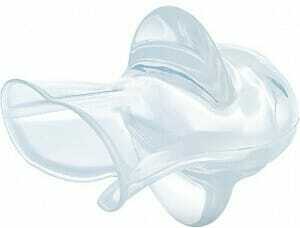 Next post: Where can I buy a snoring mouthpiece to stop my snoring? Previous post: Can I use a snoring mouthpiece with full or partial dentures, bridges, crowns, caps or missing teeth?